Ever since the first modern world’s fair in London in 1851, organizers have attempted to come up with bigger and better innovations to lure visitors. From stunning pieces of now-iconic architecture to flashy cars and exciting new flavors, world’s fairs have introduced many memorable items to the world, including the following. Gustave Eiffel’s design company beat over 100 entrants in a competition to design the monument that would be at the heart of the Exposition Universelle of 1889. 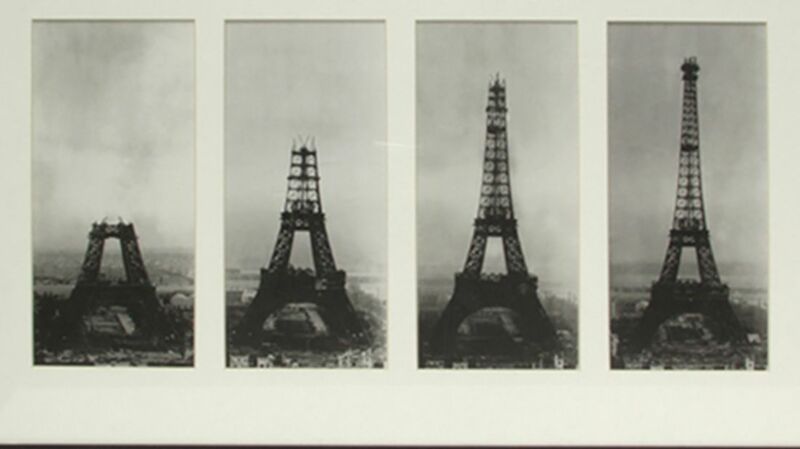 Although it is Eiffel himself who has the credit for the visionary metal design, it was his colleagues Maurice Koechlin and Emile Nouguier, both structural engineers, who initially came up with the idea of building a tall tower for the exposition. The tower took two years, two months, and five days to construct, and when it was finished it stood at nearly 1000 feet tall—at that time the tallest building in the world (a later antenna addition brought the height up to its current 1063 feet). Visitors flocked to see the tower, but many Parisians were less thrilled, and the building was nearly torn down and scrapped in 1909. Fortunately, its potential as a radio telegraph station saved it, and today it is one of the world’s most popular paid tourist attractions. When Chicago was planning their world’s fair of 1893 they knew they had to come up with something to rival the Eiffel Tower, which had caused such a sensation at the Paris fair four years earlier. George Washington Gale Ferris Jr, a 33-year-old engineer from Pittsburgh, came up with the ambitious design for the 264-foot tall wheel, which had 36 cars attached, each able to hold some 60 people. The Ferris Wheel was an immediate success, and thousands of people lined up to pay their 50 cents for a 20-minute ride offering panoramic views over the fair. Despite the success of the first Ferris Wheel, Ferris himself died bankrupt aged just 37, and his original wheel was sold to the 1904 Expo in St. Louis, then scrapped in 1906. The 1901 Pan-American Exhibition in Buffalo, New York, was a showcase for technological advances, especially in electric lighting, with hydro-electricity from nearby Niagara Falls harnessed to create an impressive display of newfangled electric lightbulbs. Also on display was a newly invented X-ray machine. X-rays had been discovered a few years earlier, but this was the first time the public could observe the amazing machine themselves. Sadly the fair is also famous for being the site of the assassination of President William McKinley, who was shot twice by anarchist Leon Czolgosz. McKinley was rushed to a makeshift operating theatre at the fair, and the doctors considered using an X-ray machine to locate the bullet, but they were worried that the dangers associated with taking an image (including disturbing the patient) were higher than the risks of the bullet. The president was patched up as best as possible, but died eight days later from gangrene. The Space Needle, now a famous Seattle landmark, was created for the 1962 World's Fair. Conceived by Edward E. Carlson, president of Western International Hotels, in 1959 and inspired by the Stuttgart Tower in Germany, the design for the Space Needle was initially sketched on the back of a napkin. Architect John Graham adapted the ambitious plans, and the 605-foot tower with rotating restaurant was built in about eight months, ready for its public opening on the first day of the fair on April 21, 1962. In 1999 the Seattle Landmarks Preservation Board approved the Space Needle as an official historic landmark, underlining its importance as an icon of Space Age design. At the New York World’s Fair in Flushing Meadows on April 17, 1964, Henry Ford II officially unveiled the new Ford Mustang. This sports car was an immediate success, with some 22,000 sold on its debut in car showrooms across the country. The car had been previewed to 125 members of the media four days previously, and the press were quick to realize the potential offered by this glamorous car aimed at the young post-war generation; the Mustang was soon featured on the front covers of both Time and Newsweek. The first-ever IMAX movie premiered at the 1970 Expo in Osaka, Japan, the first world's fair in Asia. The project was funded by Fuji and developed by Canadian innovators Robert Kerr, Graeme Ferguson, and Roman Kroitor. The trio overcame huge technical challenges to create the first 17-minute IMAX film, Tiger Child, which was broadcast continually in the Fuji Group Pavilion at the fair (which happened to be the largest air-inflated structure in the world). After the film’s success, IMAX became very popular for showing “special event” films, and the first IMAX cinema opened in Toronto in 1971 with a giant 86-foot-wide and 60-foot-tall screen. Today there are over a thousand IMAX cinemas around the world. At the 1982 World's Fair in Knoxville, Tennessee, Coca Cola introduced a number of new flavor combinations, one of which was Cherry Coke. Designed to reignite memories of the types of cola available in soda fountains at local drugstores, when a dash of cherry syrup was frequently added to the mix, Cherry Coke was immediately a public favorite at the fair. After the positive public response, the product was put into development and it was finally released to the public in 1985. The Knoxville Fair had a theme of “Energy Turns the World” and attracted 11 million visitors; its legacy also includes the 266-foot steel tower topped with a golden globe known as the Sunsphere.